Brooks Butler, a member of BBYO’s Eamonn Lacey AZA, has had a number of gigs with Skratch, including working a Chanukah festival at Levine Academy where he worked a latke and donut bar. Gleaning the benefits of learning and earning for themselves while meeting the mitzvah of helping others are Dallas’ Skratchers: on-demand workers between the ages of 14 and 19. Now, Skratchers are not only putting pocket money away for themselves, but also partnering with organizations to spread support. Skratch is a mobile app, available on the App Store and Google Play, designed to connect teens to paying jobs (gigs) in their neighborhoods; services are available in more than 100 Dallas Metroplex zip codes. The company is planning to expand to Austin, San Antonio and Houston this year. Created as a community-driven marketplace and an opportunity engine, it helps teens make some extra money, “scratch.” Using application technology, Skratch allows its teens and sponsors to post, schedule, send/receive payment, rate/review and complete gigs. There are myriad gigs that highlight teens’ talents and abilities, including pet care, creative arts, sports coaching, academic mentoring, game play, media, technology, event support, in-home family assistance and tutoring. The app also offers an option to “create-your-own” gig. Teens, who earn $10 to $12.50 per hour, are not permitted to transport sponsors or children or operate power tools, and an adult over 18 must be present during the duration of the gig. The app, which debuted in 2016, was created by Ronen Akiva, also the company’s chief technical officer, who worked as a photographer during his teens, and Bennett, who worked in retail and as a summer camp counselor as a teen. The two hold the strong belief that teens need opportunities to work in order to understand the value of earning their own money. Skratch’s in-house team also includes Adam Stern, chief financial officer; Lindsay Feldman, director of partnerships; Jessica Shannon, marketing communications specialist; Amanda Diep, user and community specialist; Jason Alvarez-Cohen and Vaibhav Malhotra, software engineers; and Stephen Goldblatt, creative consultant. “A lot of the BBYO members are interested in attending BBYO conventions, summer programs, Israel and travel trips. Skratch provides them a platform to earn money for these experiences, opening up more opportunities for their leadership development,” said Lory Conte, BBYO NorthTexas Oklahoma Region senior regional director. Sponsors can specifically hire BBYO members, and Skratch will donate 20 percent of each gig to BBYO without affecting the teens’ earnings. As a community-centric platform, Skratch also partners with the Boys and Girls Clubs of Collin County, YMCA of Metropolitan Dallas, Cornerstone Senior Living Crystal Creek, and First United Methodist of Richardson. Skratch is also a member of the Dallas Regional Chamber. Small businesses are encouraged to utilize the app to solve short-term, project-based work. The company co-brands with Artkive, an app and service that helps preserve and celebrate a child’s artwork, and sponsors opportunities to Membership Toolkit, which allows organizations to save money on annual membership fees. Robert Roseman is a senior at Parish Episcopal School, a member of BBYO’s Eamonn Lacey and beau to its Fannie Sablosky chapters. Gigging with Skratch for two years, and a member of its teen board, he’s watered yards, created Excel spreadsheets, and taken photos for his sponsors. For Ebby Halliday Realtor Renee Rubin, having the opportunity to hire Skratchers to help her keep her adopted stretch of Preston Road clean is appreciated. 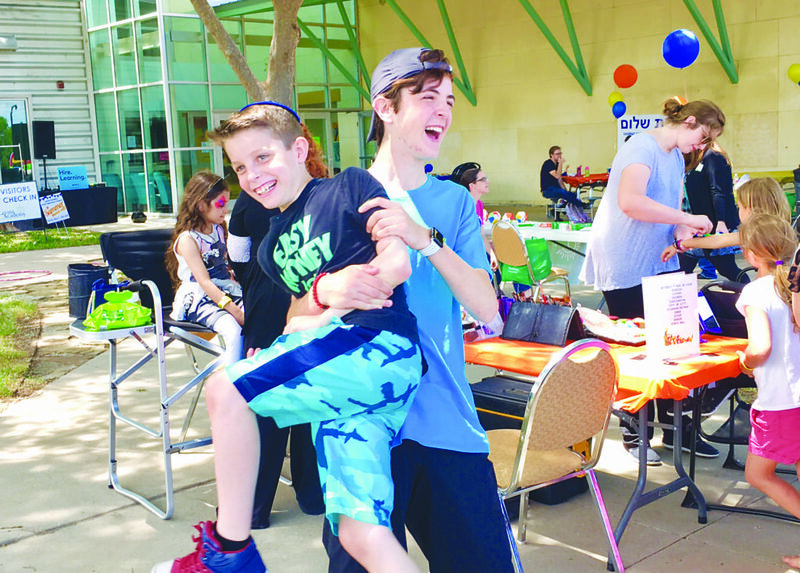 “I love that I can find responsible help and that by using Skratch, the kids are earning money, and so is BBYO,” said Rubin, whose sons are former BBYO members. For information about becoming a Skratcher, or to request service, visit skratch.co or download the free app on the App Store or Google Play. To partner with Skratch, email lindsay@skratch.co.